The K2 Alluvit 88 is a fun, forgiving freeride-leaning ski. The Alluvit 88’s penchant for predictability and forgiveness means the ski suits intermediate through advanced skiers. It can handle most terrain and snow conditions, but favors soft snow. Testers felt that aggressive, expert skiers may overpower the ski and the 88 mm middle results in less stability on steep, icy slopes. Testers scored the ski highest for Carving and Stability; lowest for Responsiveness and Float. 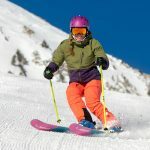 K2 calls the Alluvit 88 “where freeride meets all-mountain,” an apt description, according to testers, who praised the simple, easy-flexing ski for its high fun factor in soft snow. 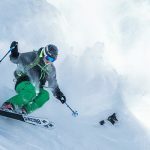 It’s not by chance that K2’s “all-of-it” play on words was chosen for the Alluvit 88 – it’s a versatile, all-mountain ski with a fun, freeride personality. “This is a simple, supple, easy-flexing ski that will save your legs if you go all day,” says one tester. 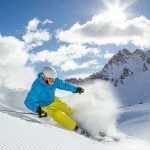 Other testers called the 88-mm-waisted ski “friendly,” “fun” and “forgiving.” The Alluvit 88’s predictable and forgiving personality suits intermediate through advanced skiers, though testers felt that aggressive, expert skiers may overpower the ski. 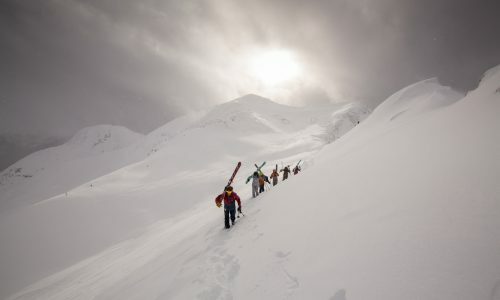 Testers noted that the ski loses stability on steep, icy slopes. In terms of scores, the Alluvit 88 received its highest for Carving and Stability; lower for Responsiveness and Float, though still earning average to high overall scores. As with other K2 freeride models, the Alluvit 88’s construction focuses on reduced weight as well performance. The BioFlex Konic Technology includes a women-specific “Bioflex” wood blend of aspen and paulownia in the core, placed along the perimeter of ski, with low-density Nanolite composite material running through the center. The intended result is a light, lively and predictable feel. A sheet of Titanal is placed above and below the core, with K2’s Triaxally Braided strands of interlocked fiberglass for torsional stiffness and easy flex. The all-terrain rocker means a gradual tip rise (and less effective edge), with sidewall construction underfoot combined with a weight-reducing full cap construction in the tip and tail. Some testers liked the high fun factor of the ski, but noted a damp feeling. 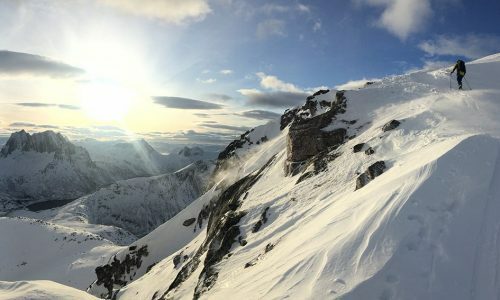 Though a fine carver, the ski lacks rebound energy out of the turn as well as edge grip on steep slopes and in icy conditions. 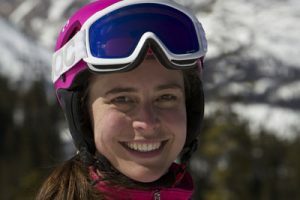 Testers felt that aggressive, expert skiers could overpower the skis. They did not call the ski “soft” or “light,” but instead called it “forgiving,” though not meaty enough for extreme slopes. The BioFlex Konic and Nanolite technologies reduce the core’s weight by 5 percent (according to K2), but two sheets of titanium add dampness. Camber and traditional sidewalls under the foot add frontside performance, but only to a point. 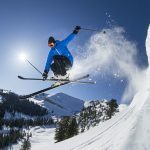 The slow rise tip and cap construction do allow the ski to pivot and float in soft snow, and the testers noted that the ski feels wider than its 88 mm footprint. The Alluvit 88 received fair scores for Responsiveness. Testers said the ski was “predictable and easy to use,” however, it also felt too damp to some, who wished it could be more aggressive and responsive. The 88-mm-waisted ski felt wider than its sub-90 waist width, which increased all-mountain prowess, but decreased frontside performance and rebound energy. Testers gave the Alluvit 88 fair scores for Stability, mainly citing its lack of stability on the steeps and on hardpack conditions. 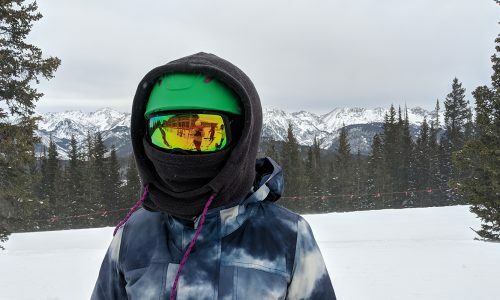 Stability was not a concern in soft snow on intermediate slopes, where testers say the ski instills confidence because of predictability and easy maneuverability. 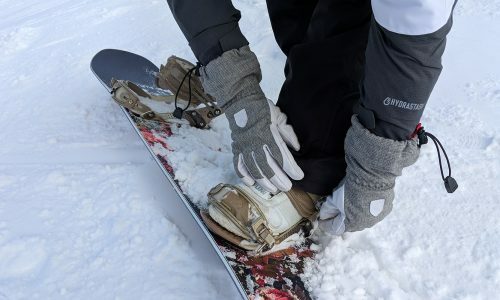 The Alluvit 88 received average to good marks for Resort Float, and testers said the ski shines best in soft snow (though not big powder days, where the 88 mm waist is simply too narrow). The gradual tip rise and lightweight construction add versatility in snow and crud conditions as well as the ability to pivot without aggressive edge hold. The Alluvit 88 received its highest ratings for Carving. Testers felt it was an easy-to-flex ski and “fun and willing to turn,” according to one tester. The one weakness, however, is a lack of edge grip and stability on steep, icy runs. 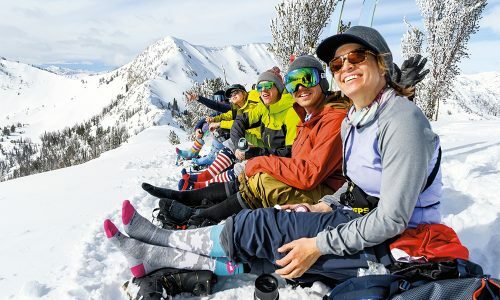 Aggressive skiers who look for rebound energy and full-length edge grip won’t find that here: Traditional sidewalls and camber underfoot do provide edge grip for most slopes and conditions, but when the going gets steeper, the cap construction and gradual tip rise provide easy handling and not bite.